Betting Apps > Best Android Betting App? Our reviewers have sought out the best Android betting app by comparing the wide variety of bookmakers and betting exchange apps online. Selection criteria include the introductory bonus offers, mobile betting app design aspects, range of events to bet on and overall user experience. The result is an opinion of what we consider to be the best Android betting app selection available today. Latest review: Betfred Android app. In our opinion, the bet365 mobile version is quite simply one of the best player experiences that we’ve had the pleasure of using. There are plenty of compelling reasons that it tops our list, too. See our complete review or hit the button to go direct to bet365. Another household name is that of William Hill, and their web app is jam-packed with a wealth of betting options. But what makes this one of the best Android betting apps, you may well ask. Well, our review team likes that they offer more than 100 in-play markets for footy alone which is very impressive indeed. They also claim to guarantee the best odds for racing. On top of that, there’s casino, poker plus bingo. Get the download & full review by clicking/tapping here. One of Ireland’s top bookmakers does not disappoint with one of the best Android betting app designs that we have reviewed. There is an appealing joining bonus to claim and the mobile betting site itself works just as you would expect. It gives you a wide spread of mobile betting sports and games to play with every event covered including Irish sports (see full review here, including direct download). Verdict: This is one of the best Android betting app implementations, well worth getting and taking advantage of all of the on-going promotions they have to offer. 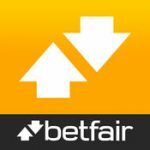 It’s no surprise that Betfair has a decent-sized chunk of the mobile betting market – and no doubt that their app has a lot to do with this. Along with innovative features like Cash Out (Betfair was the first to market with this), there is a lot to take in. Wide-ranging markets on football, tennis and racing are just the tip of the Betfair app’s iceberg. As you’d expect, there is also plenty of In-Play betting available. The app also includes plenty of casino-style games on this, one of the faster betting apps compared to several of its competitors. To sign up and secure their opening offer for new customers click or tap here (18+ T&Cs apply) or for the full lowdown on Betfair for Android, read on here. One of the main things that we like about the Coral Android app is that it’s pretty slick with a very clear layout for users. For example, they utilise expanding boxes which helps find the relevant bets faster. 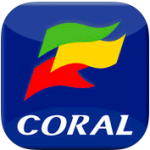 Featuring regularly enhanced multiples on sports, the Coral app also includes cash out functionality. You can also delve into gaming (casino, bingo, poker et al) on this app. To open a new customer account at Coral mobile, tap here from your Android device and register for their new customer offer (18+ T&Cs apply). For our full Coral app review and download guide, tap here to read more. In this close-run race for top honours is this neat app from one of the longest-standing bookies around. It’s a full-featured app available on all Android devices such as the popular Samsung Galaxy series. The best Android betting app race is a close-run thing these days, with horse racing available with the live race stream, tons of sports events as you’d expect. It also gives you poker, blackjack, slots and even roulette from the casino area. We think that Betvictor is a bookie that you will want to take the time to register with. You can do that here using this link first for the latest joining offer (New customers, 18+ T&Cs apply) before using the app. Direct download and full review here. From another established brand in betting, the Ladbrokes app impresses. Easy to use and compatible across all devices, we like how they also have frequent price odds enhancements to keep things fresh. The app keeps things uncomplicated using a simplified menu to access all of the most important areas including in-play betting. Register with is a simple process which lets you claim their latest new customer offer. Direct download and full review here. You can get access to ALL of the aforementioned bookmaker apps and sign up for the free bet offers with the BookieBoost Android app. BookieBoost is a free app that can be downloaded from the button link below. It also includes daily accumulator tips, live football scores/results, betting calculators and more. Full review of the BookieBoost app here. Well worth having on your Android device to de-clutter your home screen, especially if you use multiple bookies. Reviews of further Android apps are found in the Android betting apps menu at the top of the page, including bookmakers such as Betfred.